Notes: Local in oak woodland and mature hedgerows throughout much of England and Wales, less frequently in the north. 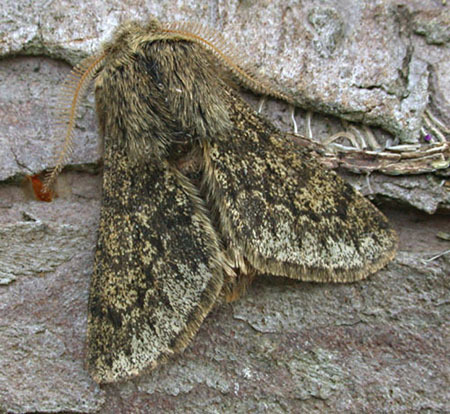 In Hampshire and on the Isle of Wight common and widespread, but with a very short flight season, the date of which is subject to the prevailing early spring weather, it may go under-recorded in some years. Wingspan male 35-37 mm, female wingless. 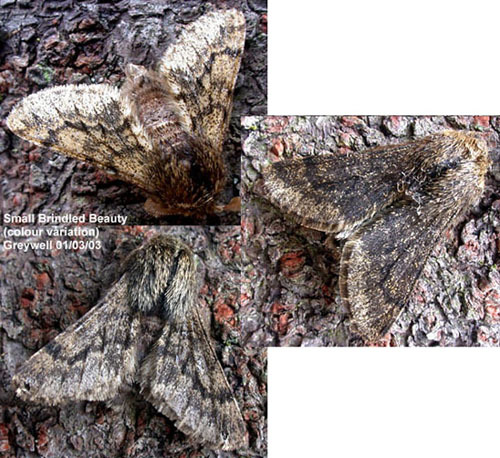 For females, the main confusion species is Pale Brindled Beauty Phigalia pilosaria, for males, Brindled Beauty Lycia hirtaria, which see. 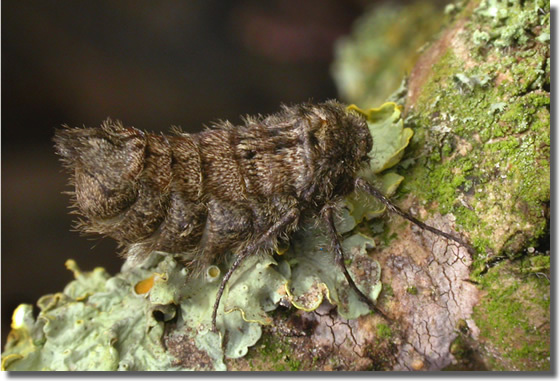 Larva feeds on various deciduous trees, including Oak, Hawthorn, Silver Birch, Hazel, Elm, Hornbeam and Sweet Chestnut, over-wintering as a pupa.